Tyler's interest in Physical Therapy was originally sparked by his high school and collegiate athletic career. After growing up in the Pell City community, Tyler attended Jacksonville State University for his under-graduate degree and Alabama State University for his Doctor of Physical Therapy (DPT). He joined TherapySouth in 2013 at our Pell City clinic. He is a manually trained therapist and has went on to obtain a board specialty in Orthopedics through the American Physical Therapy Association. He also specializes in Functional Capacity Evaluations and Impairment Ratings. Tyler is involved in the Pell City community including the local Chamber of Commerce and Rotary Club. He and his family reside in the Pell City community and are looking forward to serving this community for years to come! Tyler’s first experience with Physical Therapy was in high school and grew his interest during his collegiate athletic career. Tyler attended Samford University for his undergraduate and his Doctor of Physical Therapy (DPT). 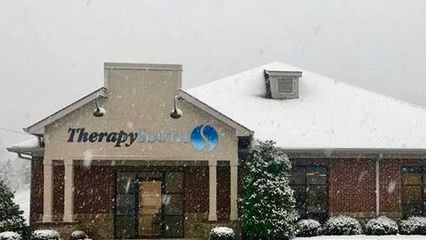 He joined TherapySouth in 2018 and is looking forward to growing is manual, therapeutic skills, and eventual certification in dry needling. He and his wife life in Moody and hope to grow a family while finding ways to give back to our community.